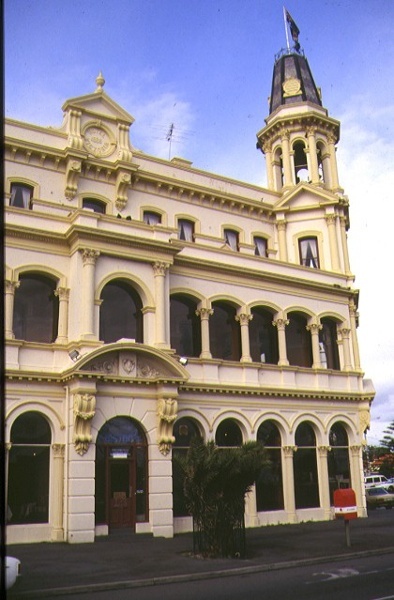 The Victoria hotel was built in 1888 for owner and licensee Mary McGregor to the design of architect Richard Speight. It is sited on the corner of Kerford Road and Beaconsfield Parade and is the most prominent nineteenth century structure along the entire length of the parade. 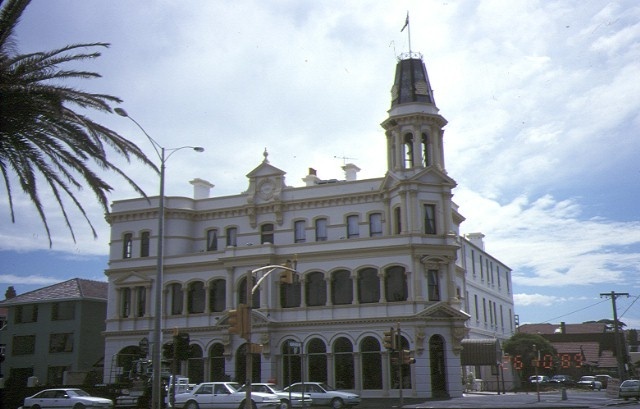 This prominence is emphasised by the corner tower, double storey colonnade and elaborate three storey facade. 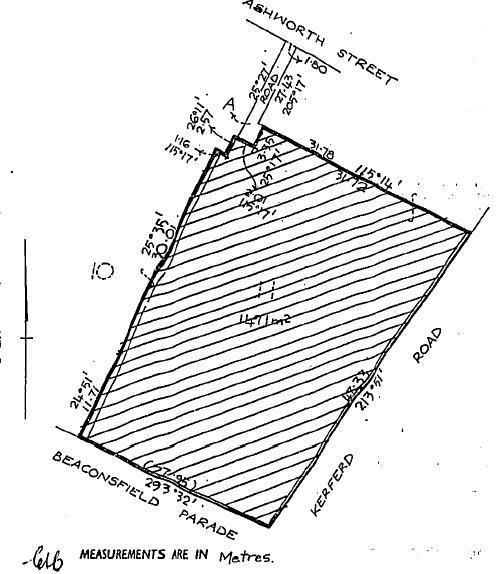 The width of Kerford Road enhances the visibility of the building. The tower is angled on the corner and is crowned by an octagonal, column supported belvedere with pointed roof above. This roof was installed in the 1970s to the design of a firm of Melbourne architects. As built, the Victoria had a similar pointed roof though more elaborately detailed. The original roof was removed earlier this century. The remainder of the exterior is substantially intact. Internally the building retains a number of intact spaces including the spacious entry foyer, graceful staircase and first floor lobby. 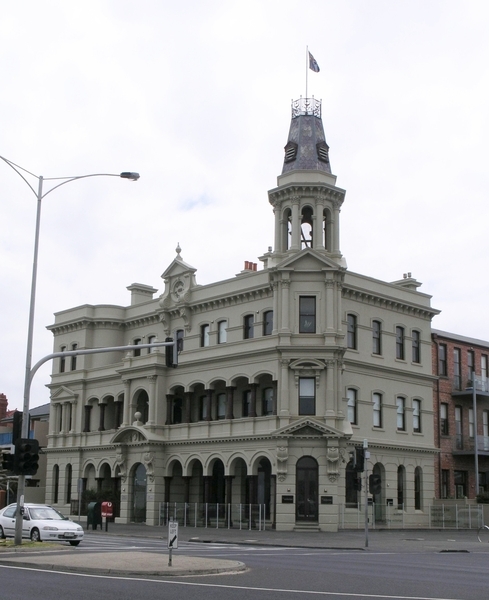 an important surviving work of architect Richard Speight. 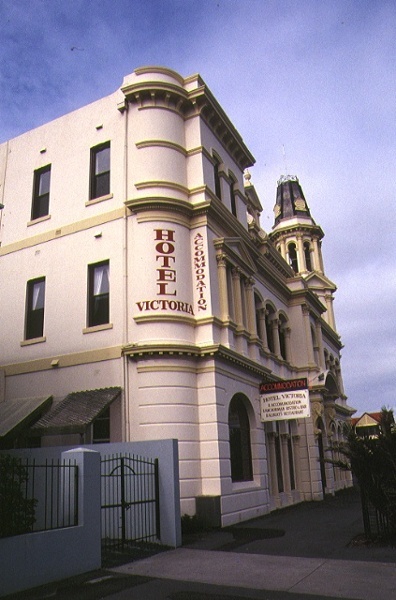 Hotel Victoria, 123 Beaconsfield Parade, Albert Park. 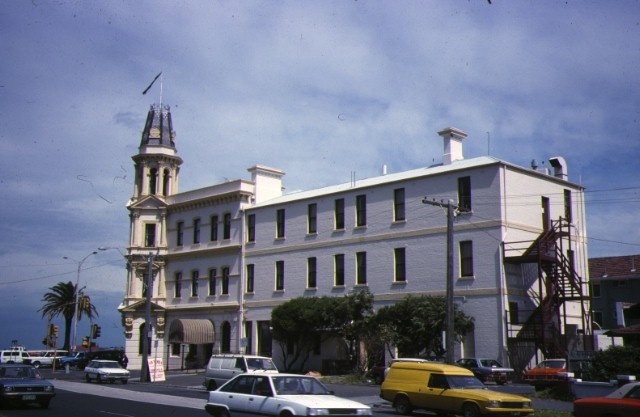 This hotel was once known as 'The White House'. I discovered the reason for this when, as the City of Port Phillip heritage adviser, I did paint scrapes and found under the layers of paint the original render skim coat - in white cement. Trevor Westmore.